Company culture is such an important aspect of your business! 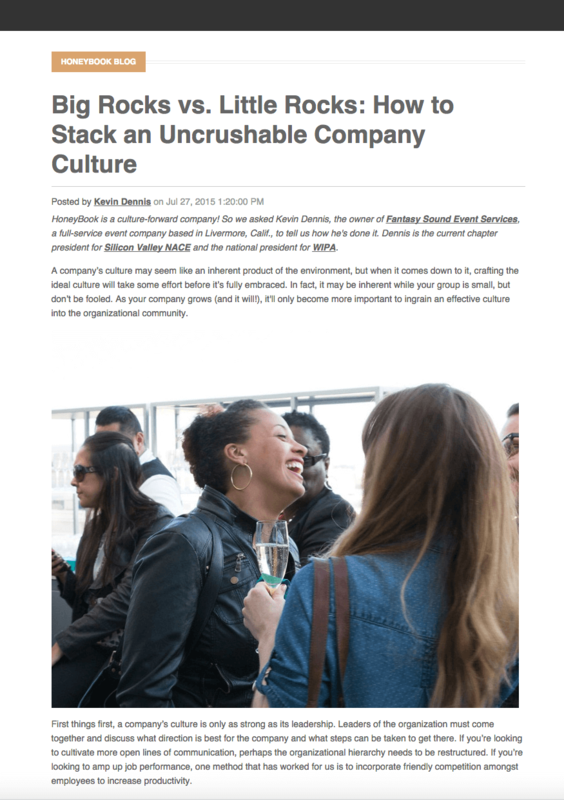 Our friends over at Fantasy Sound Event Services shared their expertise on Honeybook on building a formidable company culture. The article is chockfull of juicy tips on how to improve upon your behind-the-scenes chemistry and create a family out of your work team. Tune in here!